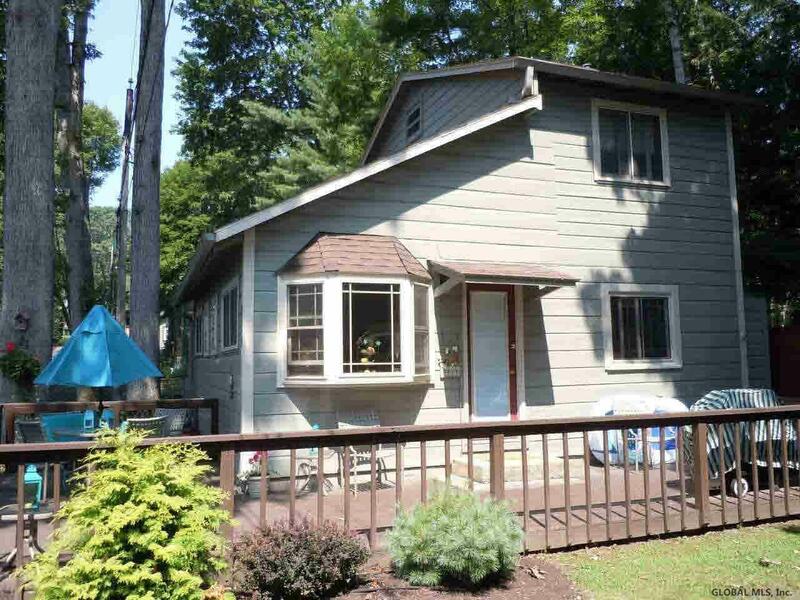 Cozy Adirondack year round cottage w/knotty pine interior, filtered lake view, deeded 24' dock, gas fireplace & deck, newly painted & landscaped, well kept 3 bedroom / 2 bath house. Wonderful large association lakeside sundeck, new docking, sandy beach, great lake location across from Diamond Point Island. Club House, playground. Waterfront: Dock, Lake/River View, R.O.W.